This is the discharge data from the salmon river since Sept. 30th 2014. One thing that is particularly striking about the last two years is just how bad last year's flows were in early fall. 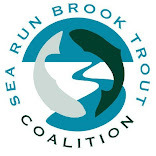 The Salmon River, which used to be a substantial river year round, was pushing lest water last September than some of the brook trout streams I fish. So the least concerning thing about how low the lows are. They were WAY worse in 2007 and 2010. The most concerning thing is how low the highs are. That's why we need big snow years, and super rainy springs. I really don't think it would be all that unlikely that the rivers would come back to health over the next two years... but the low highs could also signify a trend. We'll have to see. Winter will be the biggest teller. For the past four days the wind has just NOT let up. It has been anywhere between 8mph and 16mph for far longer than I'd like. I don't really enjoy myself when fishing in gusty winds, especially when the fishing isn't all that productive. If I was catching I'd be able to ignore the wind. So, for the last few days, the wind has been my enemy. Today it was particularly rough. To make it worse my memory card decided to be my enemy too. It decided to be a corrupt crummy useless piece of plastic. So, even though I caught a few pickerel and bass I don't have much to show for it. That isn't so bad, I'm more upset about the fact that I lost some good shots of the gradually changing foliage. So, even though the fishing was not at all bad my head wasn't in the game. To make it worse just before I started fishing I bumped into my good friend Dave who told me he had caught a bunch of big brown trout on mice up on the Farmington. I had some mental drooling to do as I finished my short ride. Later on I ran into Rick Seifert and his son Tyler, who I have known for a while through boy scouts. 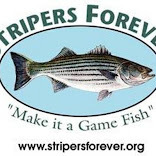 Mr. Seifert is a master striper angler and he had a few good trips live-lining bunker this year, getting some really nice stripers. Some of you may have seen a few of the fish from one of these trips on The Connecticut Yankee. Basically, I'm bored. That is my biggest enemy right now. I haven't had a good full day outing in a while. I've just been stewing in my boredom at home, not even getting the work done that I should have finished by now. If I got in one really epic day of fishing, I could get over the last week or so of boredom punctuated by short but exciting outings. There are some boundaries between what is a fly and what isn't, and almost every person has their own boundaries. Mine may be a bit more lenient than others. I will never be seen spraying streamers with stinkbait for brown trout. I will occasionally use a small piece of cut bait or rind as a trailer on a clouser, but ONLY when targeting bullheads. Lately I have started tying pike streamers with rubber wiggle tails. This is not at all an original idea, take a look at kanalgratisdotse on youtube. Those Scandinavian fly designers have been fooling pike on flies that use wiggle tails for some time. Frankly, after having tested a few today, the action is awesome. Not only does the tail move but all of the materials on the trailer hook move with it. It looks alive. If you don't like it, say it isn't a fly... too bad I'm going to fish it anyway. Once I was done fooling around with the new giant pike and bass patterns I went for walleye. The weather conditions the past few days are almost identical to weather last winter that gave up some nice walleye. I stuck on a little clouser and fished it on a sink tip with a slow figure eight retrieve. I stuck a white perch on the third cast. About 10 casts later I got a violent take which was followed by an equally violent though brief run. And that was pretty much the entirety of the fight of a decent walleye. I'm still waiting to break the thirty inch mark. I know there are a few 28's in this pond, I've caught one that size, and plenty of 26's. I just have to break 30. Fall is a pain for multi species anglers like myself. It is the only time of year when literally everything is feeding and feeding well. Here's a look at the fish I'd like to target in the next month and a half: walleye, pickerel, pike, bass, brook trout, brown trout, carp, stripers, bluefish, albies, and blackfish. I have a limited time to catch all those fish, and I want very badly to catch all of them before the season is done. So that means I need to fish. A lot. That's not such a bad thing, but it means I have a lot of trips to plan and organize. But let's get the easy ones out of the way early... walleye, pickerel, and bass are all close to home. I went out last night to hunt for the first of those three, and I did manage to find one. After being bit off by a pickerel and landing a few small bass, and right before I was about to leave, I had a walleye take. It was not a big walleye by any means, and it didn't take long to land being that even a big walleye isn't that tough a fighter. The fish ate my favorite walleye fly, a white and brown double deceiver. It was quickly photographed and released. I've been feeling the pressure lately. I'm not a kid any more; I can't just fish all the time. My life goals have changed since I was five. I've wanted to be a train engineer, a meteorologist, and a professor of mineralogy. The last two would probably have been great professions and with my drive I would have made it there. But then fishing came along and I knew that I found what I am best at. So it became my goal to become a career fly fisherman. I'm going to do anything and everything in the field: fly tying, guiding, writing, photography... I know it won't make me rich but that doesn't matter. 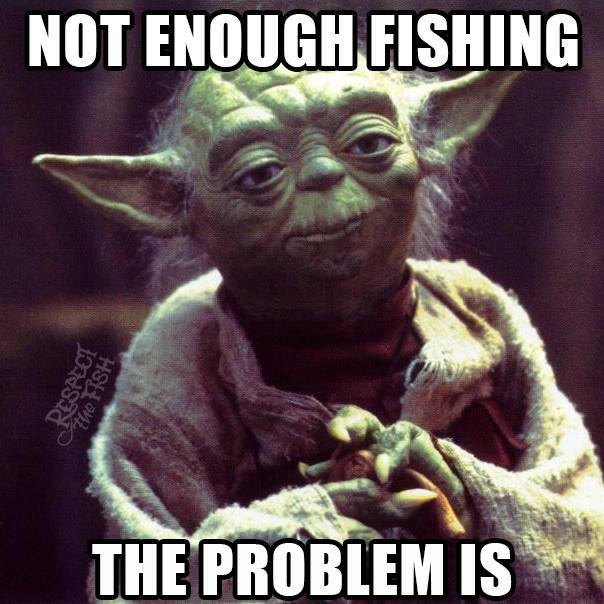 That doesn't mean I'll be fishing every day. I will however be doing fishing related things with fisherman and often in very fishy places. That means that there will almost always be material to be featured on this blog, and I will keep the nearly daily posts going as long a people keep reading. I won't be able to become a career fly fisherman by staying in CT though. Next year, if all goes as planned, I am moving west. Montana, specifically. I should be working for an outfitter or fly shop, learning the waters and preparing for about 10 years of guiding. Then who knows what. 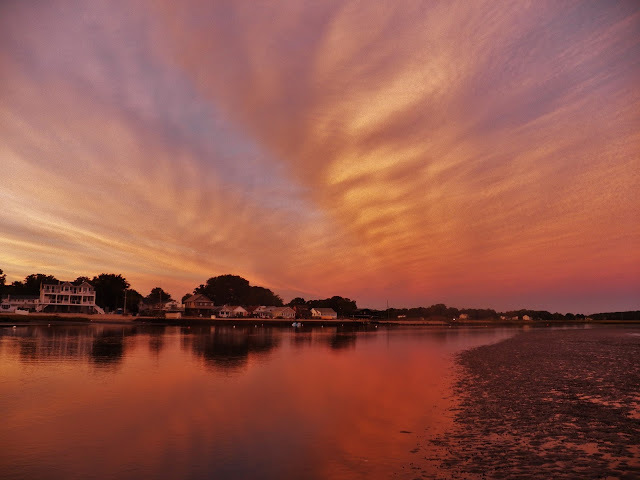 Will the name of this blog change when I leave Connecticut? No, it will not. I will be coming back here periodically. And besides, no other place I've been molded and formed into the angler that I am by fishing in Connecticut waters. This blog will continue, and its name will not change. I hope you all keep reading. My fishing buddy Dan and I covered some different types of water this morning on the hunt for stripers, but where we ended up finding them was some of the tightest, and definitely some of the coolest water I've caught stripers in. I've caught stripers in a river, I've caught them on a flat, I've caught them in the middle of a bay, and I've caught them in a channel along a rocky shoreline. Today, I caught them in a salt marsh tidal creek. We started out on the flat which was a little too deep to wade at high tide. We didn't stay long. I remembered looking at a tidal creek at a bridge crossing thinking "there has got to be some big fish there". It just looks good. There's a large deep pool on the shore-side of the road, and somewhat smaller on on the inland side. The creek splits a short ways up from the road and both channels looked deep. Since the tide was going out we started on the shore side. Dan discovered very quickly that a fly hanging in the current would attract some bluefish. There were a few big ones down there and he actually hooked one of those, but I only caught a small one. There were some mid-to-large size schoolie stripers that would come off the bottom and follow the fly every now and then there too, but after a bit the fish stopped showing. We fished the marshy shores both upstream and downstream for a while, and I had a number of big blow ups on a popper. I even missed the hook set on a gorilla blue and the first keeper size striper I've had take in a few weeks. The important thing to understand with stripers and large barbed flies is that one rod-lift hook set is not enough. I try to do four strip sets in quick succession. On that big striper I forgot everything. After once again not seeing anything happening on the flat I thought we should go back up to the marsh. Sure as hell, it didn't take long for me to catch a good striper on the popper. These fish were hitting in shallow, skinny water and those takes were unbelievable! It wasn't like the crazy fish a cast chaos that Dalton and I experienced but it was fairly consistent and the fish were all good size. The odd thing... Dan was doing exactly what I was doing but he didn't get so much as a boil! I don't know why, but I got lucky. When that action died down Dan headed out and I stayed to fish the flat a little while longer. I had a good chat with a surfcaster before setting up in a rip to target robins and fluke. I caught one frisbee, which honestly was more than I was expecting so late in the day. It made for a slam and that made the day all the better. Carp are addicting. It may take some people a lot of work to even consider trying to catch these fish, but once you start there's no turning around. Just in the past month I've watch fellow fly angler Mark turn into a carpaholic. Mark hasn't been playing the carp game long, but he has a knack for finding carp ponds. Friday morning into Friday afternoon we fished eight different carp ponds that he had found, and all but one definitely have carp and the last is a strong maybe. It did not take us long to find some hungry carp. The second active fish Mark saw ate his fly and took off defiantly and slowly, as though it knew where it wanted to go but wasn't really in much of a hurry. As it turned out, it buried itself in a pile of weeds. The line went dead. Not slack, just solidly in place. Mark and I both thought it was over. We walked around the shore to the place the fish had stopped. I grabbed the line and began pulling it in. At first all I saw was weeds, and it didn't feel at all like the fish was still there. Then I saw some scales. I told Mark the fish was still on and it suddenly came back to life. There was a brief period of give and take before I netted the fish, a true beast in the low to mid twenty pound range! It was not long, really, just extremely heavy! Mark and I were both very excited. None of the photos I took really did this fish any justice, but I took a short clip that fills in those blanks. We fished that pond for a little while longer and came back to it later. We saw some more massive carp but neither of us hooked up again there. The second pond we fished is one we visited a few weeks ago, and it too has some large fish. I saw the definite ripples of a feeding carp as we pulled up and made a bee line for that fish. It was feeding in a manor that made it tricky to get my fly to it. This pond has a lot of weed growth right along the edge of the water and this fish had its front half buried in that weed mat. It took some effort to punch my damsel fly nymph though the weeds but once I did I got the fish to eat. I set the hook on intuition only, and fortunately my gut instinct did not let me down. Though we both ended up hooking more fish during the day, that gorgeous carp was the last either of us would bring to hand. What this day lacked in numbers of fish it more than made up for in quality fish and amazing experiences. The 6th pond we fished is one of the nastiest ponds I have ever seen. It was full of junk and gnarly weed growth and was just plain gross. BUT (and this is a big but) it had some of the craziest carp in it that I have ever seen! Koi, ghost carp, mirror carp, and both super light colored and super dark colored commons. The average size of the fish there was not even half that of the other ponds but there were just so many there, and lots were feeding in the surface film. I have to say it was one of the coolest carp ponds I've ever seen. We stopped at two other more scenic ponds that had lots of big carp showing, and although I thought for sure one of us was going to hook a carp in the last pond, it just didn't happen. Even on a day that turns out not to be all that productive, being on Long Island Sound shows just how amazing life is. Dalton and I got to our favorite spot and the flat was perfectly calm. It melted into the grey sky making it difficult to discern the horizon. It was concerning that there weren't fish showing, but I figured we'd find some anyway. We did, there were a few blues mixed in with the massive schools of adult bunker. Though I only managed a single fish it was a decent, hard fighting harbor blue. What made this evening truly exceptional was the sunset. It was nothing short of epic. I don't think I can find the right words to describe it. I'll let the photos speak for themselves. I was hoping that the bite would really turn on after dark. It didn't, unfortunately. We changed spots and found something unbelievable. The water at our second location was full of glowing green creatures. Moon jellies, thousands of them, made it a very eerie seen in which Dalton would catch the one and only schoolie striper of the night.What a bizarre and surreal night.